We would love to welcome you if you want to join us. 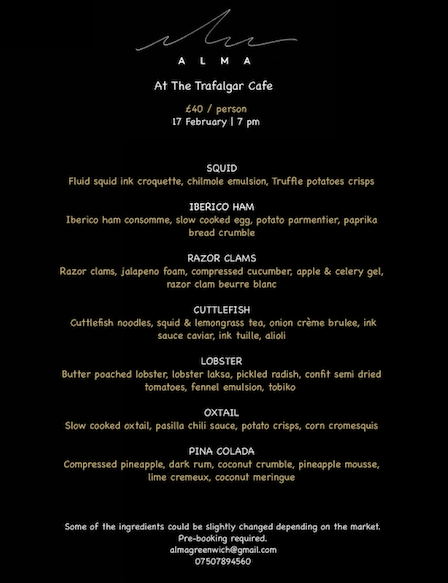 After that José will open a tapas restaurant on Friday and Saturday evenings at the Trafalgar Café - more details later. There will still be tasting menus once a month or so.